**originally published in The Crabbet Influence January-February 1986 issue and included in the 1992 Collectors Volume I as well as the 2004 20th Anniversary Issue. From childhood Phara Farms owner Annette Weber (formerly Annette C. Patti) was mesmerized by artistic renditions of Arabian horses, but it wasn’t until she saw Lewisfield Sun God 21194 that she found a living example of her concept of such artistic dreams. Foaled in 1962, Lewisfield Sun God was the product of the mating of the full siblings Aaraf 2748 and Aarafa 2872. They were by *Raffles 952 (Skowronek x *Rifala) out of Aarah 1184 (Ghadaf 694 x Nadirat 619). This is Crabbet/Maynesboro breeding. 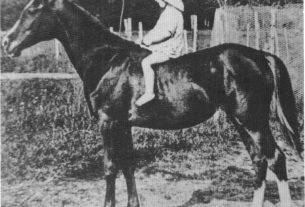 Both Aaraf and Aarafa were bred by Blanche M. Tormohlen, who along with her husband, Herbert V. Tormohlen, owned Ben Hur Farm at Portland, Indiana. This farm was one of the more important midwest American studs in the 1930′s to 1950′s. When the Tormohlens retired in the late 1950′s, James F. Lewis, Jr. bought many of their horses for his Lewisfield Farm at Charlottesville, Virginia. It was Mr. Lewis who bred Lewisfield Sun God. Aaraf, a champion in his day, was described in a Ben Hur brochure as “…remarkable in action under saddle – free, long strided walk, splendid knee and hock action, straight forward trot, and smooth easy canter…As a sire, the quality of his get speaks more eloquently than words of his highly prepotent ability to implant in them in a very definite way the superb type, temperament and action with which he is so intensely endowed…” Aaraf’s important wins (for his era) included First Prize Arabian at the Chicago Horse Show and being a two time winner of the National Stallion Show in Iowa. Phara Farm began in the picturesque Holy Hill area in Wisconsin. In 1962 the Phara stallion Selmajor 9846 (Umar Al-Khayyam 1798 x Selmiana 1881) was named Grand Champion Stallion of the Illinois All-Arabian Show and thus became eligible for the 1963 Nationals, held at Dallas, Texas in conjunction with the Texas State Fair Show. However, the Lewisfield Sun God story has a sad ending. Annette tells us, “…at the end of this show Lewisfield Sun God was returned to Virginia and we returned to Wisconsin, confident that our association with this colt would never be divided for he was young and we would have time to sort out the right mares to breed to him, etc. What we could not know was that we would never see Lewisfield Sun God again.” His show career had taken off and he was flying high as a very noticed consistent winner and champion when tragedy struck in the form of severe founder. The career of this glorious young horse was cut short, at age 7, leaving just 24 get behind to carry on for him. Phara was able to acquire three mares from Lewisfield, all with the breeding the Pattis wanted. 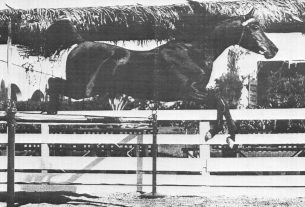 Aazkafra 15523, a gray foaled in 1959, was sired by Aaraf and out of Aazkara 4879 (Azkar 1109 x Aarah). Her first produce at Phara was Golden Reflection 49042, a 1968 chestnut stallion sired by the Aaraf grandson Golden Pharao 28921 (La Flag 11809 x Bint Maaroufa 8834); thus Golden Reflection is double Aaraf and triple Aarah. Sun God Heiress 52474, is a 1968 chestnut sired by Lewisfield Sun God and out of Tailormade Binta 24907 (Shalimar Flaraff 12510 x La-Bitna 13889). Annette says Mr. Lewis described Sun God Heiress as Lewisfield Sun God’s most beautiful offspring. Her produce retained at Phara include Sungod Reflection 123471, 1975, and The Midnight Sun 176430, 1978, both chestnut stallions sired by Golden Reflection, and Eclipse ofthe Sun 202222, a 1979 chestnut stallion sired by her own son, Sungod Reflection. Lewisfield Sunny 45036, a chestnut foaled in 1967, was sired by Lewisfield Sun God and out of Farsaana 12572 (Disaan 5121 x Farroufa 6085). Her three produce retained by Phara are The Indian Sun, 1980 chestnut stallion by Sungod Reflection, Majestic Sun 266770, 1982 chestnut stallion by Eclipse ofthe Sun, and Sun God Legacy 314396, 1983 chestnut colt by The Midnight Sun. Just a quick note to reiterate how much I enjoyed meeting you and your horses. Frankly, I was amazed at the consistency of Arabian type – particularly in the excellence of head, body, size and overall conformation. After seeing your ads in various publications I’d wondered if the photographs were really representative, i.e. could stallions and mares have such perfect heads, large eyes, strong jowls and tapering teacup muzzles – or was it a trick of a good cameraman? Not only were the heads every bit as good if not more beautiful in person, but you’ve achieved short coupled smoothness of body and remarkably consistent conformation as well. In addition, I was pleased to see your horses’ beauty as natural – not the result of hours on a hot walker and in the grooming stall. 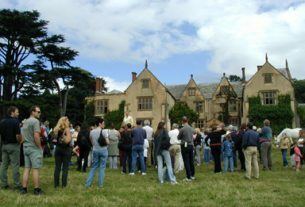 You know how often I travel and visit studs throughout the West and England, so when I say that yours is one of the best Studs, it is not said lightly. What a thrill that you’ve moved to the West Coast! Your bloodlines are a practical outcross for so many lines to Skowronek and *Raffles indigenous to the west. What an opportunity for California breeders! Please take care and know I look forward to seeing you, Sun God Reflection, Sun God Heiress, Indian Sun and all, again in the very near future.